The wide jaw is typically considered more suitable for men and in some women. Despite that, a square jaw may give an odd appearance to their facial contour which occurs due to hypertrophy (organ enlargement due to increase in size of cells) in the masseter muscle (that is attach to the angles of the jaw bone). An overgrown masseter can be a concerning issue for both men and women, particularly those of Asian ancestry. In most of the cases, square jaws are caused genetically, while mandible bone, skin and fat can also act as contributing factors. On a different note, a V-shaped facial contour is adored for its feminine demure, which can be achieved with a non-surgical Botox procedure. Botox relaxes and shrinks the enlarged jaw masseter muscle near the ear giving a smooth, heart-shaped jawline appearance by softening the contour of the lower facial area. Once injected, botulinum toxin blocks activity of targeted muscles using the same phenomenon of treating wrinkles, causing subsequent muscular atrophy (decrease in size of that muscle). Patients can observe softening of the masseter muscle within a week and relaxing of the jawline at around 6-8 weeks. The takes around 15 minutes for the procedure to complete. In some cases even “permanent changes” may occur as reported by some researchers after 2 to 3 treatments. Regardless, the effects of Botox jaw reduction in most treatments are temporary non-surgical jaw reduction treatment which remain observable for 6-12 months. Bruxism patients may not be able to get those permanent results due clenching of the teeth, their muscle becomes strengthened. 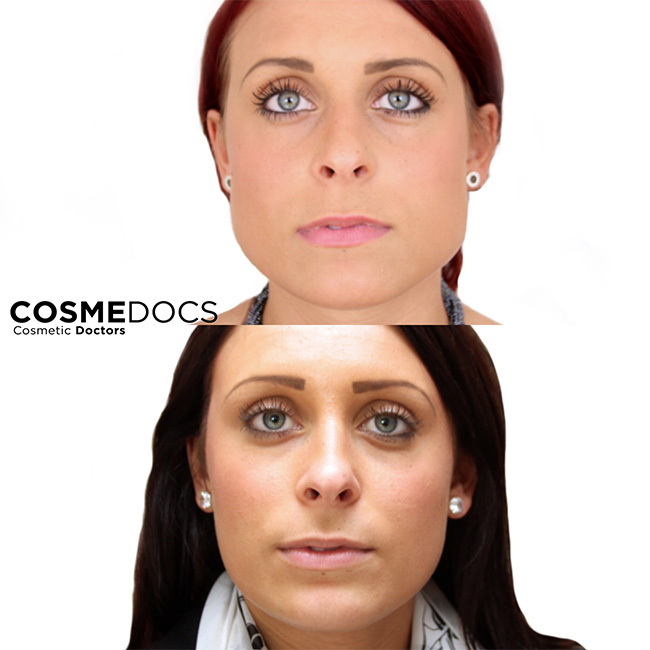 At CosmeDocs, we offer you exclusive botox jaw reduction in London clinic. You will first have consultation session prior to the treatment where your cosmetic doctor guides you further about the procedure. There is minor discomfort and most people compare the injection in this region similar to a mosquito bite. Also there is no downtime, therefore patients can leave the clinic once the non-surgical jaw reduction procedure is completed. There are four main components that contribute to the appearance of the jawline structure and these include bone, muscle, fat and skin. The mandible is the bone forming the lower jaw that provides structure for the chin, the jaw angle and jawline. This framework also helps to delineate the lower face from the neck. It thus follows that a wide mandible can be the primary cause of a wide lower face. Predominantly, the cause of an enlarged mandible is congenital and often hereditary. However, there are some rare disorders that may cause the mandible to enlarge such as acromegaly. In order to narrow the mandibular structure in the lower face, complex surgery is required, which can understandably cause much concern due to potential complications and recovery period. It is possible however to reduce the size of the jaw masseter muscle, which contributes to the width of the lower face as it overlies part of the mandible, with a much simpler procedure involving botulinum toxin injections. This may give some resolution for those not wanting to opt for surgery of the mandible. The masseter muscles are the jaw muscles that are primarily responsible for chewing and can usually be palpated quite easily whilst clenching, lying above the jaw angle on the lateral aspects of the face overlying the mandibular bone. Frequently these muscles can be enlarged giving rise to a wide or square lower jawline. For many, the cause of this enlargement is hereditary, with siblings and parents having a similar muscle structure. However, it is also common for these muscles to develop and enlarge (hypertrophy) from repetitive chewing and grinding. This may occur through habitual excessive gum use or though a condition termed ‘bruxism’ whereby individuals grind their teeth, especially at night. Botulinum toxin, more commonly known as botox, can treat masseter hypertrophy to reduce the size of these muscles, narrowing the jawline. Botox is injected into the muscle, blocking nerve signals, temporarily relaxing muscle fibres. The muscle subsequently undergoes ‘atrophy’ as it reduces in size. Although there are possible complications and side effects associated with the procedure, these tend to be rare, and it is frequently carried out with minimal downtime and is a ‘safer’ option than surgical alternatives. In some cases excess fat may contribute to a wide jaw line. Often, these individuals additionally have fatty volume in the cheek, neck and chin areas. An initial overall assessment is required in order to ascertain whether there is an underlying medical condition or obvious medication responsible for this appearance. Once excluded, individuals should be advised of weight loss where appropriate or possible treatments if this excess fat appears to be localised. There are techniques available to reduce facial fat such as facial liposuction, injection lipolysis and buccal fat pad excision. Fat reduction treatments are also used in the chin and neck region which can improve the definition of the jawline but do not narrow it. The skin does not cause a wide jaw in young individuals. 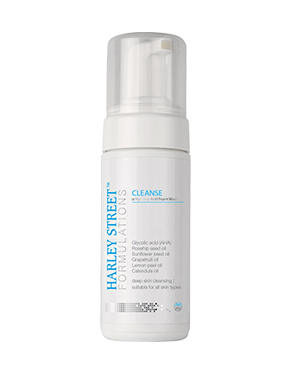 As we age there is loss of collagen, hyaluronic acid and elastin which leads to sagging skin. This is compounded by descent of facial fat pads and together contributes to jowling and loss of definition of the jaw angle and jawline. Youth and ‘attractiveness’ is associated with an inverted facial triangle, with well contoured cheek bones superiorly and a defined chin forming the point inferiorly. With age, this triangle flips with loss of volume in the cheeks and a lower, looser jawline. This can give the appearance of a wide jaw. Whilst radiofrequency and laser treatments may help to tighten skin, a definitive result to improve the jawline may be sought with surgery. 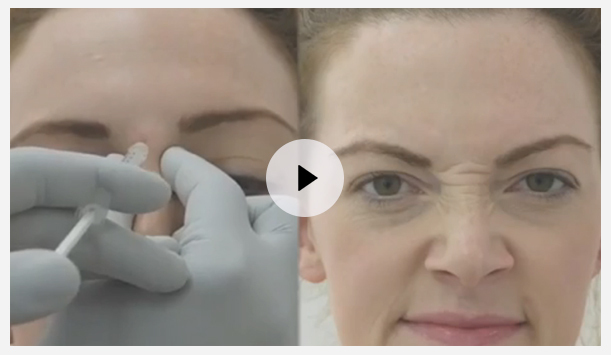 Botox is unlikely to be helpful in these instances. The photos give you a clear picture of how botox jaw reduction procedure helps in face reshaping. You can evidently see the difference in the pictures before and after the treatment. Prior to the treatment, the patients had squarer jaws. 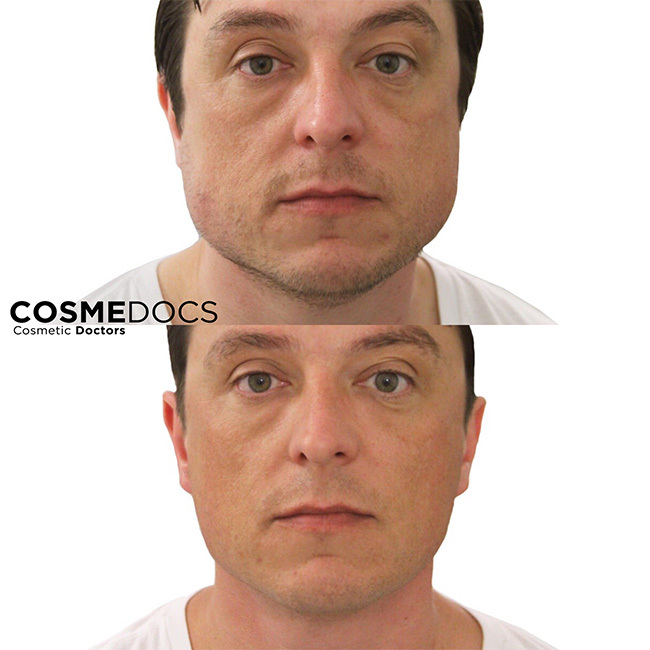 The botox non-surgical jaw slimming caused a more oval shaped jaw line. What Is The Botox Jaw Reduction Procedure All About? The procedure is done to improve jawline contour. The appearance of jawline is narrowed with facial harmony. Patients particularly from China and other Far East countries have a genetically wide jaw which can be non-surgically transformed into more attractive facial outline. How Much Does Botox Jaw Reduction Cost? For the initial treatment, it may cost £300 for men and £250 for women. It may take 6-12 months for having another treatment for which the prices may vary. Who Should Have Botox Jaw Reduction Treatment? 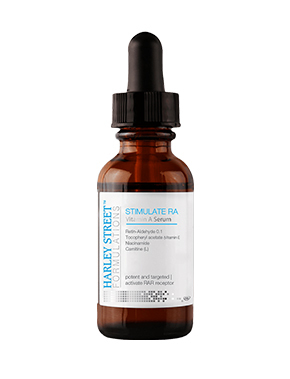 Anyone looking for a non-surgical alternative for jaw reduction should have this treatment. Surgical treatment may provide a permanent solution but may cost a hefty amount of money while its procedure is a lot riskier and painful. Those with a smooth jawline do not need to have this procedure. Anyone who should avoid Botox and other related treatments must also avoid jaw reduction such as pregnant, breast-feeding women and people with certain allergies. 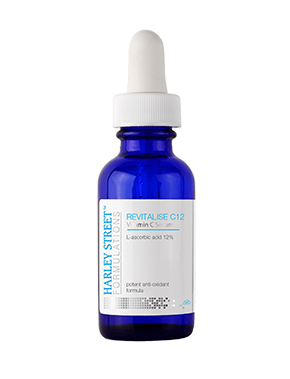 What Are The Botox Jaw Reduction Side Effects? The side effects are also same as other Botox related treatments. Bruising, swelling, redness and nausea feeling are common complications which should disappear in a week or ten days. If complications persist for longer time period or become more severe please consult your doctor. Will I Have Problems With Chewing My Food? Typically, patients do not face such problem even and if they do it occurs temporarily and should only last for a week. Our cosmetic doctors ensure that procedure is done with minimal pain possible. I’ve Had This Procedure Once But It Caused Disorientation To My Face? The proficiency of your practitioner and quality of Botox (the product should not be counterfeit) matter a lot. At CosmeDocs you can be rest assured that your procedure is being in safe hands and there will not be any undesirable results. For Botox jaw reduction treatment, there is no such recovery time period. It is quite safe and short procedure. There can be bruising and swelling which will go away in few days. What Is Jaw Reduction Recovery Time? 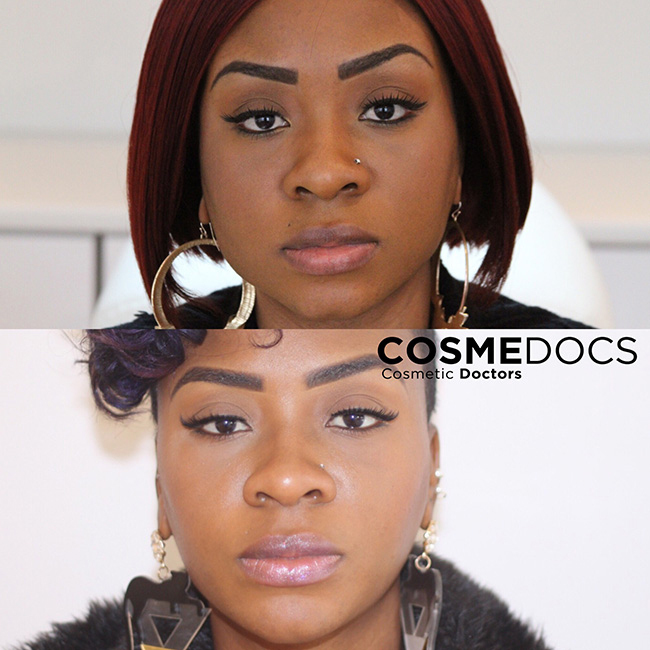 Do You Offer Any Other Treatment For Jaw Reduction At CosmeDocs? Currently we only offer Botox Jaw Reduction procedure. 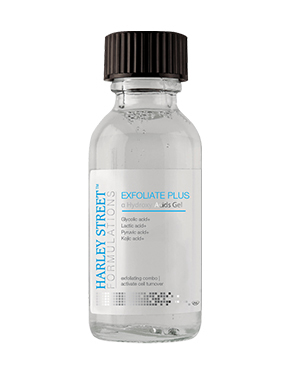 It is among the safest and the most effective jaw contouring treatment options. Surgical treatments such as shaving of the muscle has largely been discontinued.